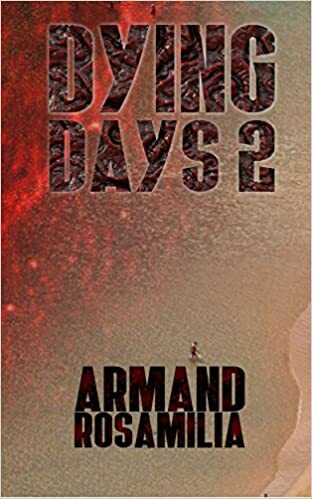 Armand Rosamilia’s Dying Days series is a staple of the zombie fiction genre. What started as an extreme series has turned into an excellent bit of genre art. 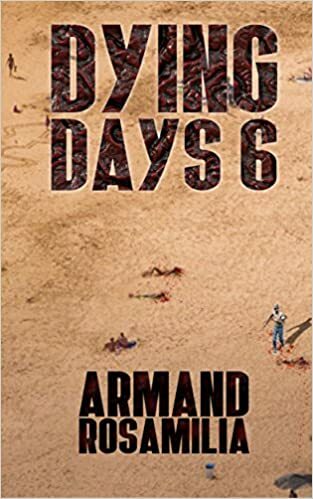 The adventures of Darlene Bobich and the rest of the cast have been captivating readers for years and the journey came to a close in November with the release of Dying Days 9. The world of the undead in Florida is rich and vast. 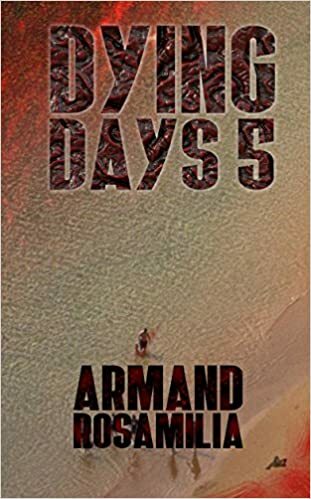 Armand crafted a place where we felt a connection to his characters and to their suffering. We cheered them on in their victories and cried with them in their defeats. The books were an escape from our world and have provided many readers hours of good old apocalyptic fun. But now, it is all come to a close. First, I want you to imagine a little background music and a voice over for you in your head. If you so choose, you can pick Morgan Freeman (if you’ve read the Hellmouth Trilogy by Armand, Jack Wallen, Jay Wilburn, and myself; you’d understand) or anyone else you want. I owe a debt of gratitude to Armand. He published my first story and his press also did the same with the first print of my first novella, In Memoriam. In the process, we became friends and have worked on other projects together. I am blessed to be able to call him a friend. 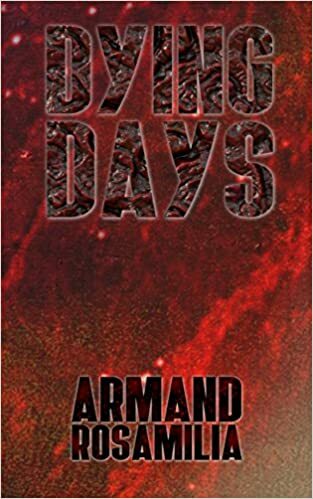 Since Armand was familiar with my work, he asked me if I wanted to write a story for an anthology he was putting together set in his Dying Days universe. I quickly set to work and created a tale about George and Harry as they went to check out an amusement park in Orlando. They find themselves in a fiefdom run by a maniac and his small circle of stooges. The fun in the amusement park is a labyrinth where people must entertain the peasants and Rendell, the ruler of the fiefdom. The story ended, but the characters spoke to me. George will never have the full story Darlene has, but I wanted to flesh him out. In the original story, The Happiest Kingdom on Earth, we get a little bit of the dynamic between George and Harry. When I sat back and thought about it, I realized there was more to their relationship then I had time to examine in the short story. And thus, Dying Days: Death Sentence was born. The book was born out of a love for the world Armand created and a passion for the characters I created to play in that world. It was also born out of a respect two minds have for each other as authors and friends. 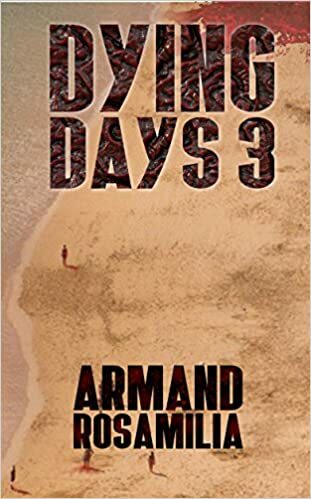 I never would have approached Armand about using my Dying Days characters in a book if I didn’t think it was needed. And at first, I wanted to tell the story apart from the Dying Days universe. He thought I should keep it in the cannon and expand from there. It meant a lot that an author who I respected as a publisher and a fellow author would put their trust in me to expand their world. When I was finished and he approved my vision, I knew I overcame my own doubts. This was not an easy process. I know Armand has a great group of readers who make up his fan base and I hope they accept and enjoy my entry into the world they enjoy. I left most of the mythology out of the first story and gave a few nods to things in the novel, but if the series on my end expands, it will tie closer to the one world. I want to say a thank you to Armand for the chance to do this and to speak to you here in this forum. When you read the adventures of George, Harry, Nora, Frank, Greg, and Todd; I hope you feel for them and welcome them into the universe you know and love. There are more adventures awaiting the crew and once you wipe the tears away, we can pack our gear and head north. Not everything bad happened in Florida and we have plenty to explore together. The book is available on Amazon right now. So, pick it up and have some good zombie holiday reading. 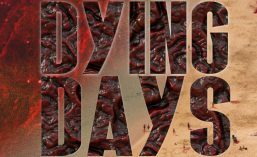 This entry was posted in armand rosamilia, dying days, guest post, horror, zombie and tagged armand rosamilia, brent abell, dying days, guest post, horror, zombie, zombies. Bookmark the permalink.